By 1879 interest in phonograph exhibitions was beginning to wane. The tinfoil phonograph was still a very crude instrument and the public's curiosity had been quickly satisfied. The manager of the Edison Speaking Phonograph Company, Edward Johnson, realized that a different approach would be needed if the company were to survive. Returning to Edison's early 1878 idea of selling small phonographs to the public (Edison "Demonstration" tinfoil), Johnson designed a very small, simple but well-made phonograph to sell outright for only $15 as "the greatest novelty of the age." The first version of this "Parlor" tinfoil phonograph was manufactured in February 1879 by Sigmund Bergmann, with the speaker mounted horizontally across the top. 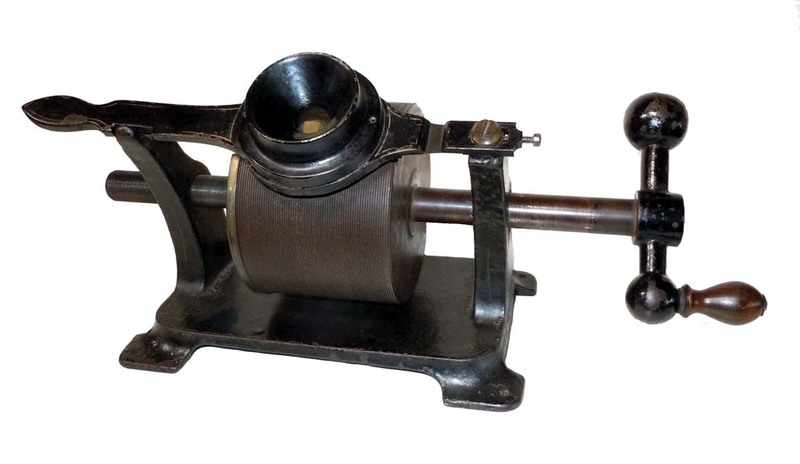 Johnson later turned to a different machine shop, Brehmer Brothers of Philadelphia, to produce an improved version with the speaker angled slightly over the side of the mandrel to make it easier to use. 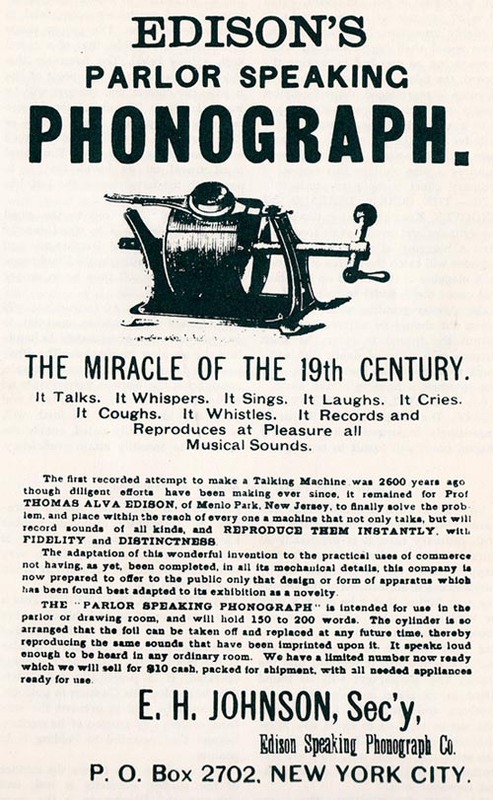 The price was reduced to $10 but there was still very little interest and few were sold before the Edison Speaking Phonograph Company closed down in 1880. The Parlor model was at the opposite end of the spectrum from exhibition machines like the massive Kohl tinfoil phonograph. The cast iron base measures only 8" wide, with a mandrel 3" wide and 4" in diameter. Although it was a small and simple machine, it was remarkably well designed. The adjustments for setting the position and depth of the stylus can be easily made and locked in place, and even without a flywheel the counterweighted crank handle and very heavy mandrel allow for smooth and even rotation. The resulting sound quality is amazingly good. Only about 300 Edison Parlor Speaking Phonographs were originally made, and only seven are known to exist in private hands today. Eleven others survive in museums, including the Smithsonian, Henry Ford Museum, Edison National Historic Site, and London Science Museum.